- Revolutionary intelligent pocket light. - Utilizes a XP-L HD V6 LED with a max output of 1,000 lumens. - Max beam intensity of 8130cd and max throw distance of 180 meters. - Multifunctional OLED real-time display for lumens, batttery voltage and runtime etc. - Advanced power cut-off(APC) technology for an ultra-low parasitic drain. - Built-in Li-ion battery charging circuit with a Micro-USB port. - High efficiency constant circuit provides stable output up to 70 hours. - 2 user modes available(DEMO Mode and DAILY Mode). - Dual side switch design. - 5 brightness levels available with direct access to TURBO. - Intelligent mode memory function. - 2 lockout modes available(Half Lockout Mode and Full Lockout Mode). 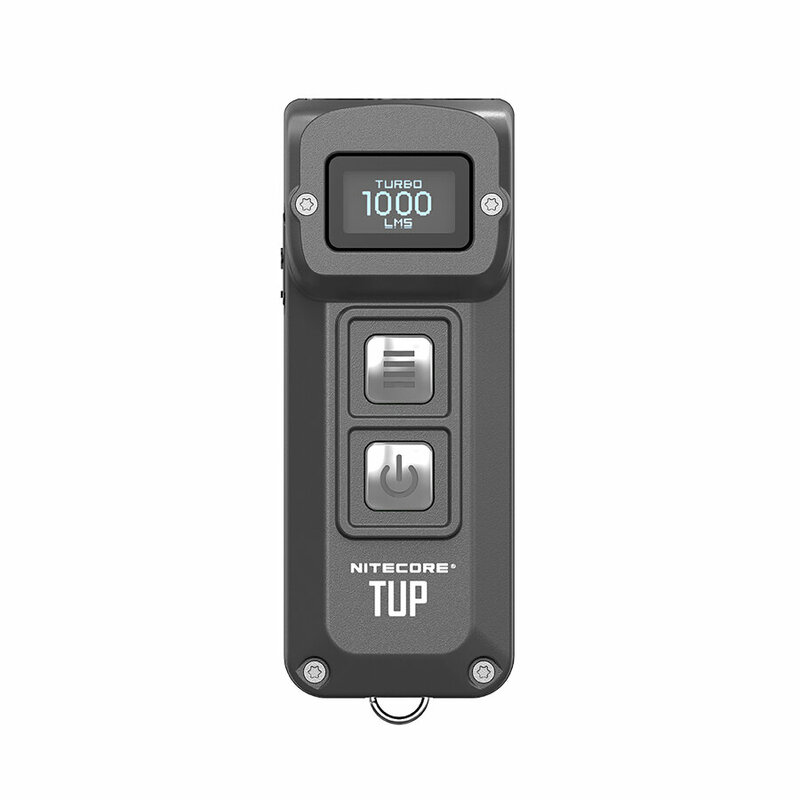 - Incorporated advanced temperature regulation(ATR) module. - Metal ring pull able to withstand up to 30 kilograms of weight. - HA Ⅲ hard-anodized finish. - Impact resistant to 1 meter.